Land Transportation Franchising and Regulatory Board Chairman Atty. 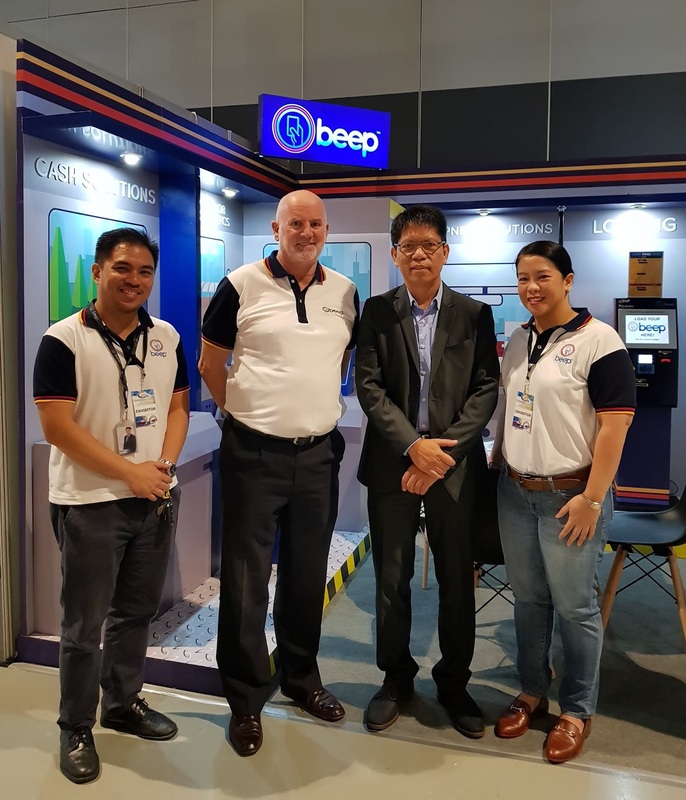 Martin Delgra III (third from left) visits the beep™ booth displaying its latest payment solutions for public transportation during the 2nd Philippine Auto Parts Expo at the SMX Convention Center Mall of Asia. beep™ payment solutions offer a working fare collection system that can be readily installed in modern jeepneys and other PUVs. It supports the government’s PUV Modernization Program, which aims to make public transportation more convenient, safe, and environment-friendly. With Delgra are AF Payments Inc. executives Johan Diaz (Senior Business Development Manager), Peter Maher (President and CEO), and Agnes Padilla (Marketing Head). Interested parties may inquire about available beep™ card solutions at <johan.diaz@afpayments.com>.